Have you seen the adorable cat, pumpkin, and candy erasers from the Target Dollar Spot?!?! 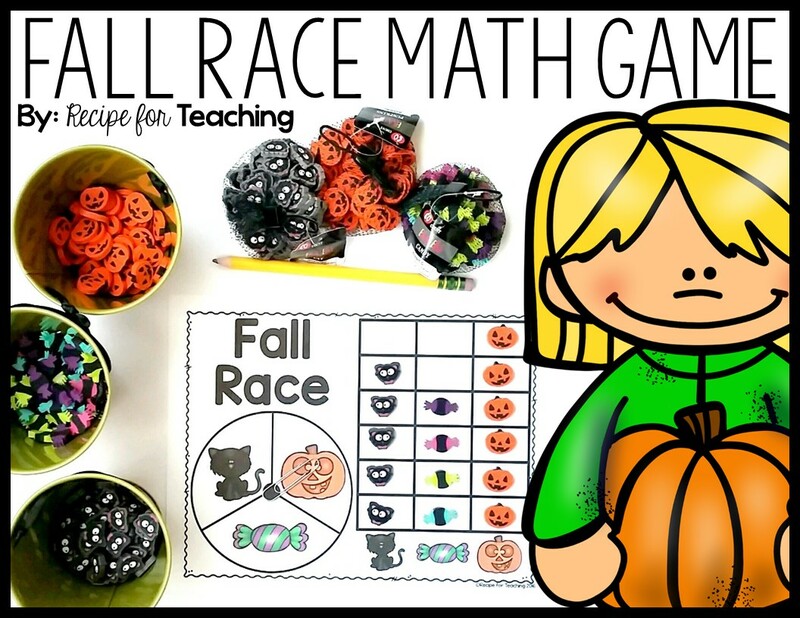 They are perfect to use as manipulatives for this Fall Race Math Game. 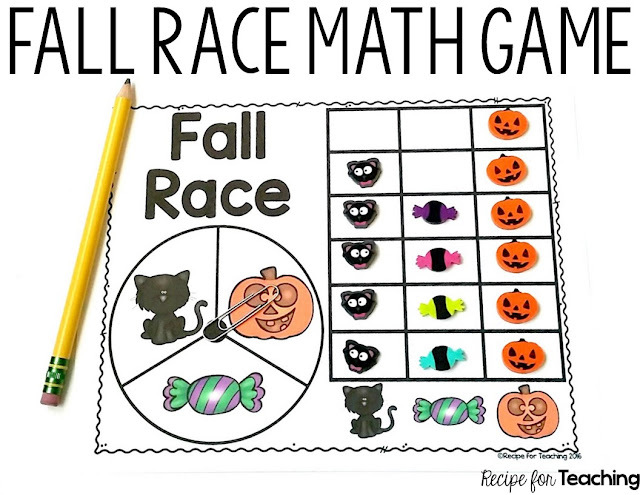 For this game your students will be counting and comparing cat, candy, and pumpkin erasers to see which one races to the top of the graph first. To prepare this game I first printed it on white cardstock. I like to laminate the game for durability, but a plastic page protector would also work. I grabbed a paper clip and pencil to use for the spinner on the game. I used erasers from the Target Dollar Spot to mark the spots on the graph, but if you don't have them, you could use a dry erase marker or other manipulative as a marking piece. For this game students spin the cat, candy, and pumpkin spinner using the paper clip and pencil. To spin, they just put the pencil inside the paper clip and put the pencil point on the dot in the middle of the spinner. They give the paper clip a flick to spin it. When the spinner stops, students mark that same spot on the graph using their manipulative. Students continue spinning until one of the fall shapes reach the top first. 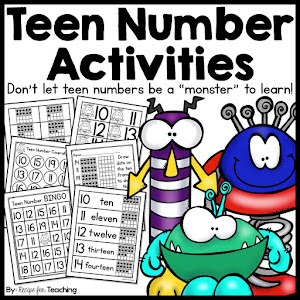 Some of the ways I like to have my students talk about math while playing this game are: *Counting how many of each fall shape they have collected *Counting how many more to reach the top *Counting which has more/less There are a lot of opportunities for students to discuss math within this simple and fun activity. 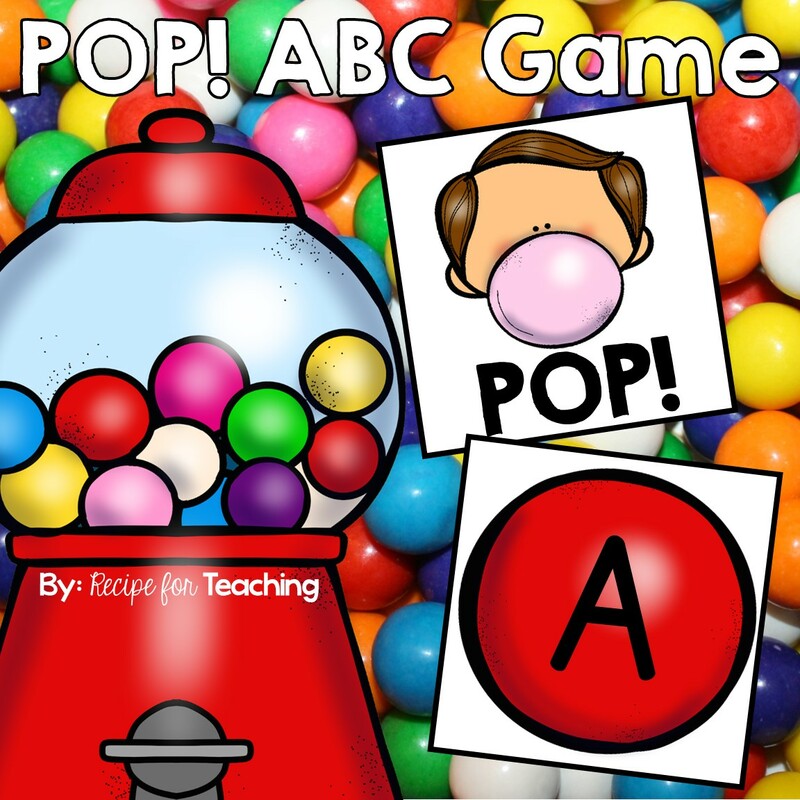 This game can easily be played independently or with a partner and would make a great addition to a math station in your classroom. Ready for some Fall Race math fun?! Just click the image below to grab your FREE download! **Update - Some of you said you could not find the erasers at Target, but found ghost, spider, and bat erasers at Michaels. 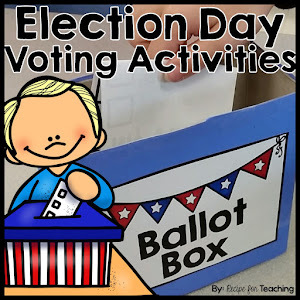 I have added a version with those clipart images too! **Update Again - Target had a few different erasers this season so I have edited this game to include images for those erasers! 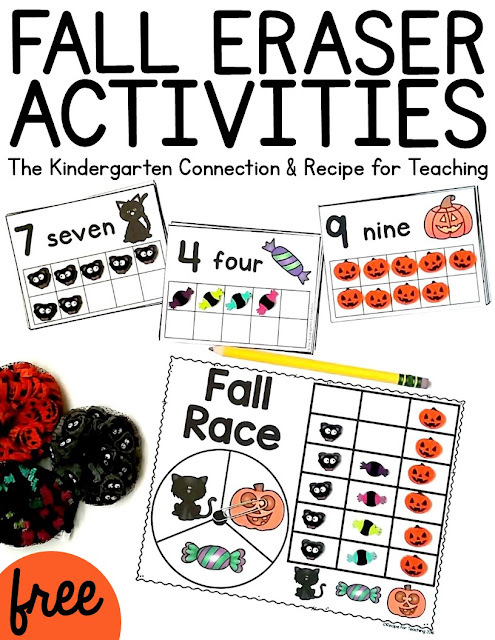 And once again my friend Alex, from The Kindergarten Connection, and I have teamed up to bring you two free downloads that you can use with these fall themed Target erasers! Click the image to head to her blog and grab her download! 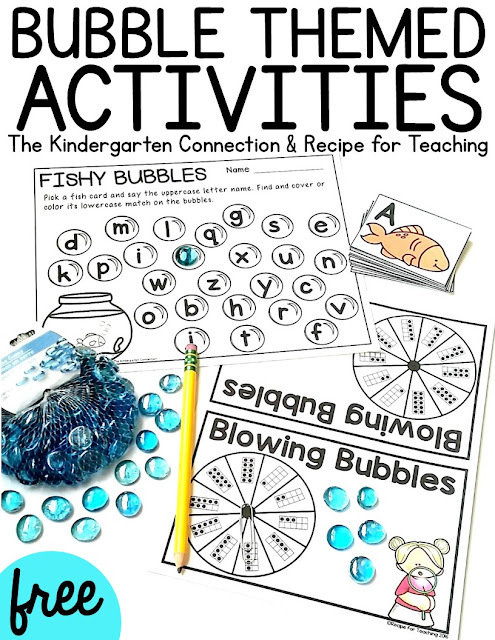 Check out our Bubble Themed Math Activities Post by clicking the image below.